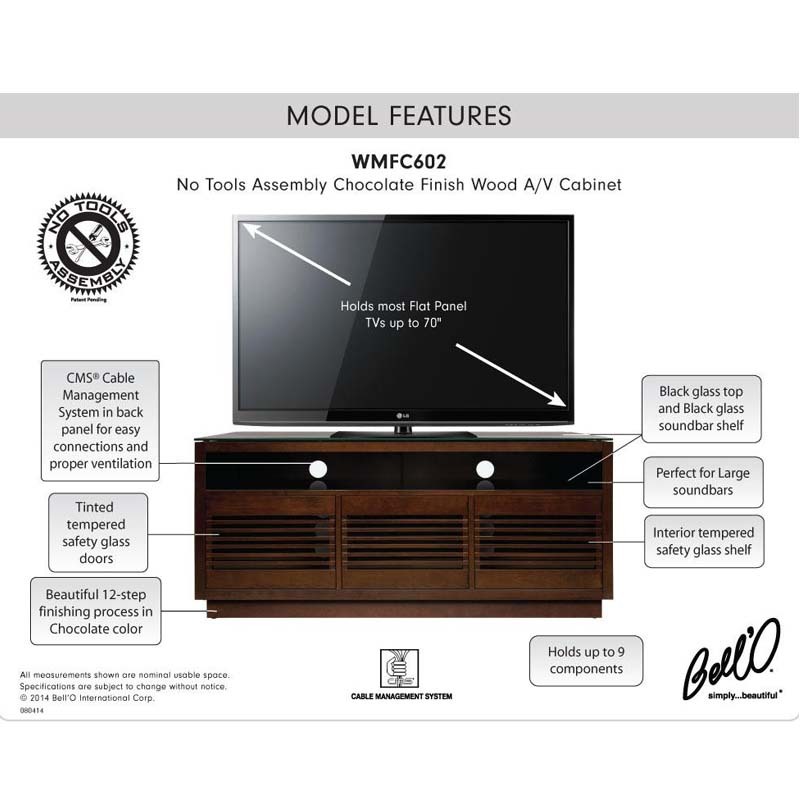 More on the Bello No Tools Assembly 70 in. 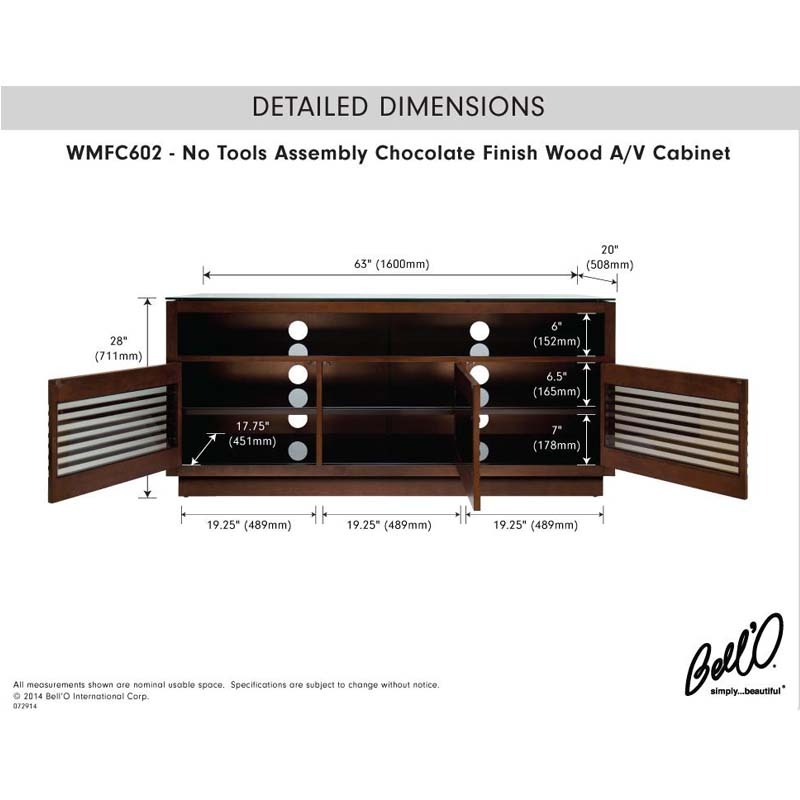 Audio Video Cabinet (Chocolate) WMFC602 below. 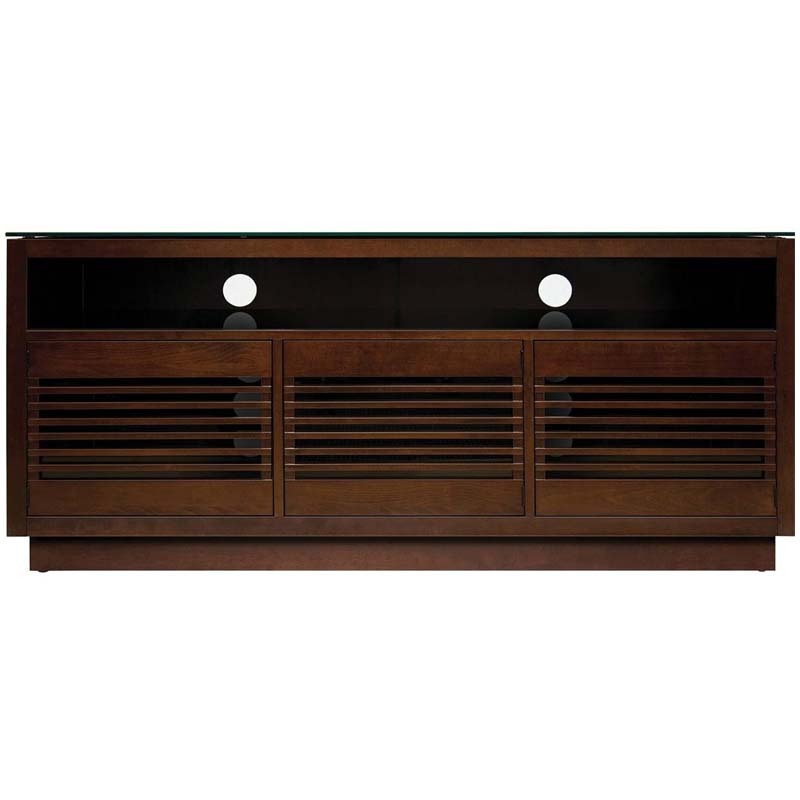 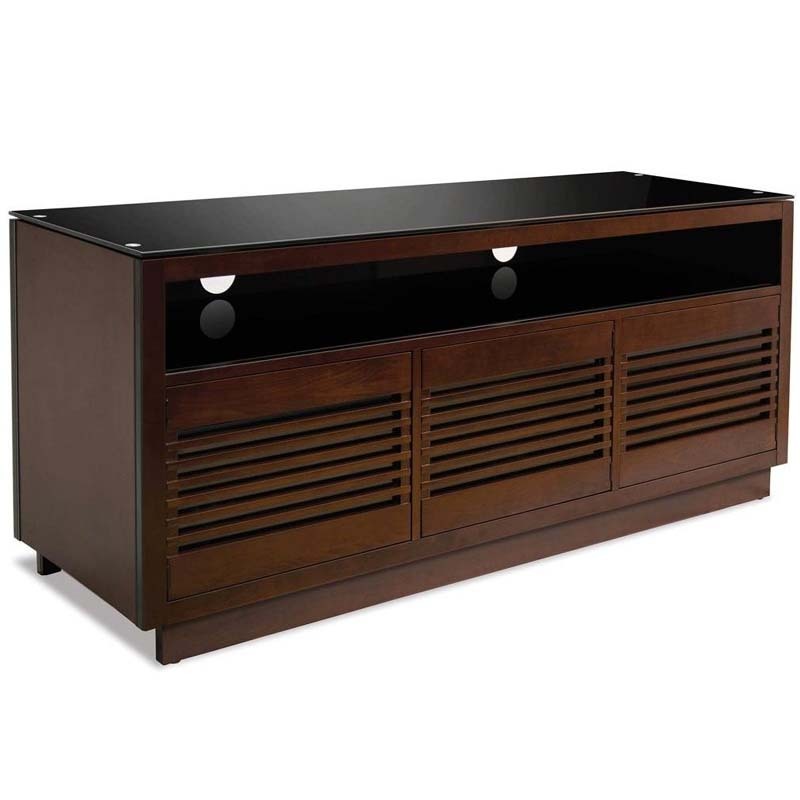 This impressive real wood and black glass audio/video cabinet offers versatility and functionality with a finely crafted elegant design. 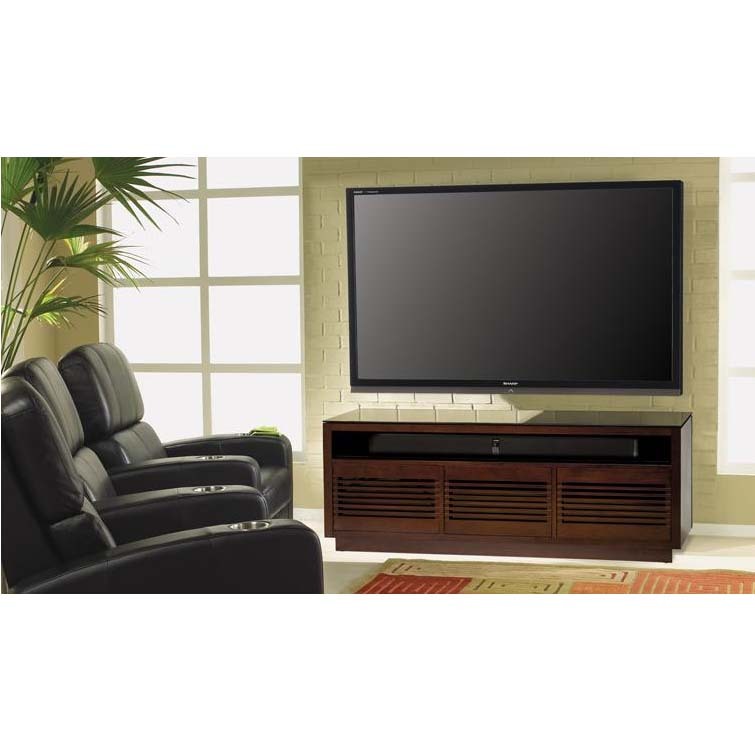 It can accommodate most TVs up to 70" or 125 lbs., and can also support up to nine audio/video components or up to six components plus a large soundbar in the open top area. 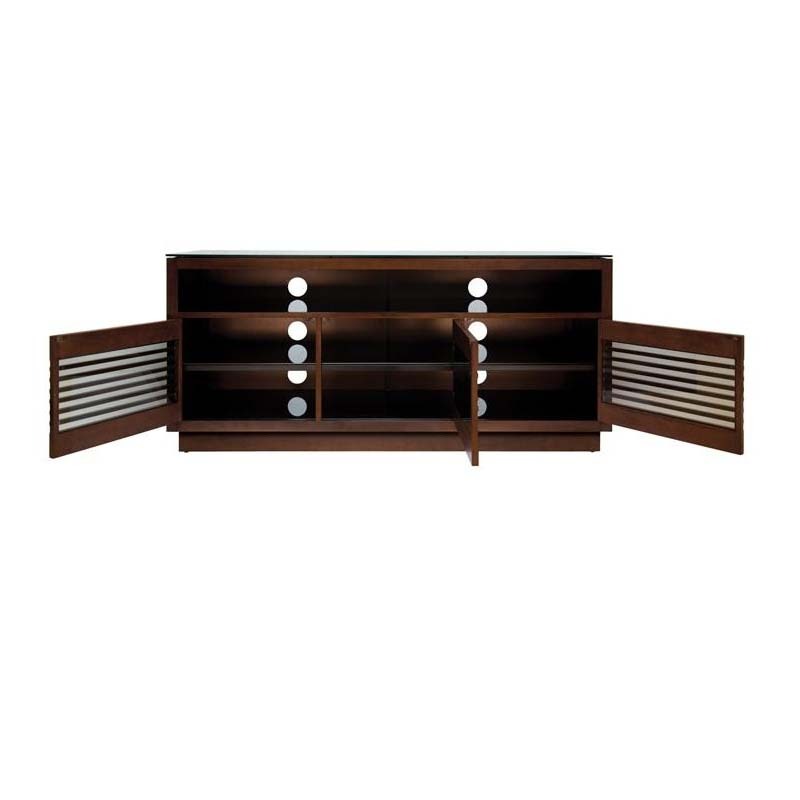 An integrated CMS® Cable Management System hides and routes wires and interconnect cables while internal slots provide proper air circulation for convection cooling of your components. This cabinet features No Tools Assembly and goes together in minutes with no tools required. 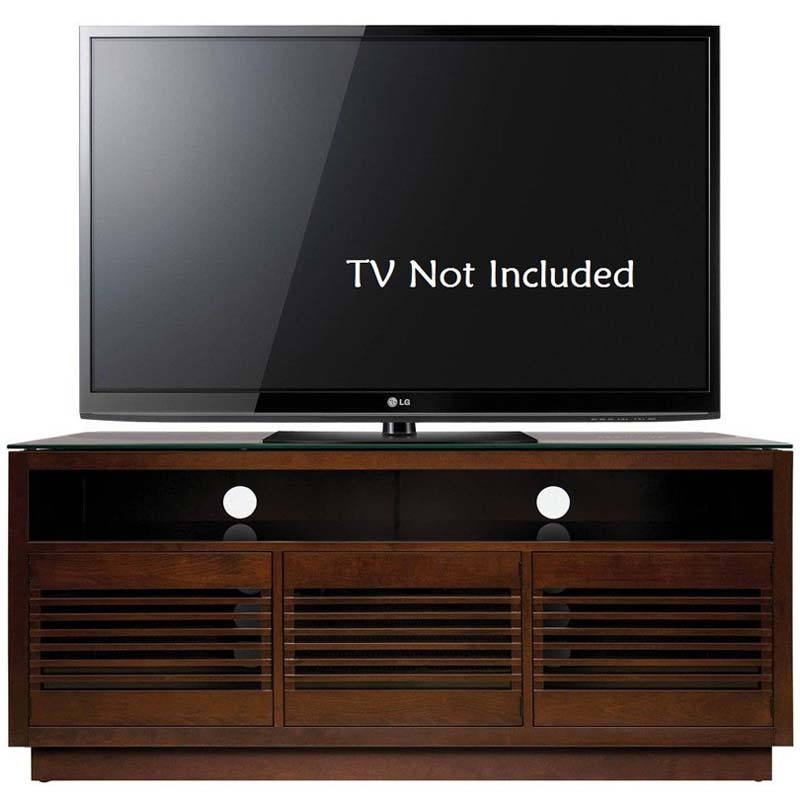 Most flat screen televisions up to 70 inches and 125 lbs.